I was so sad when I found out that the Anna series had only two books. Noooooooo I screamed! That is not enough Cas or Anna. How could you do this to us Blake. 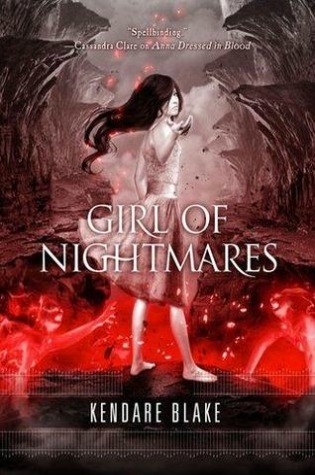 Well ‘Girl of Nightmares‘ had a lot of unanswered questions to sort out. Blake did an amazing job of finishing the short series. All our favourite characters are back along with a few new ones. Cas learns the truth behind his fathers knife, and we find out how far Cas is willing to go for Anna.